Every vehicle in the nation shares 61 data points — including its real-time location. 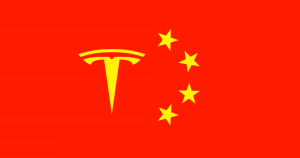 If you drive a Tesla in China, the government knows where your vehicle is at all times. That’s according to a bombshell AP News story published Thursday. It claims Chinese law requires Tesla and more than 200 other electric vehicle makers to send the government constant updates on any vehicles driven in the nation. Those updates include the real-time location of each EV, as well as 60 other data points — everything from the EV’s motor function to its battery status. According to Chinese officials, the information China collects about EVs isn’t used for citizen surveillance — it helps them improve public safety, plan infrastructure, and ensure manufacturers aren’t committing fraud in order to take advantage of government subsidy programs. Meanwhile, EV makers appear to see turning over this data as simply the cost of doing business in the quickly growing Chinese market. In the U.S., government officials would likely need a court order to access the kind of information China collects from EV makers. But in China, surveillance is a way of life. The government monitors everything residents do online and is able to identify individuals just by looking at their face or how they walk. Some Chinese companies even keep an eye on workers’ brainwaves. The situation might not worry EV drivers, but it should give EV makers pause, according to surveillance expert Michael Chertoff.